Shows no signs of daily wear. Potential old-stock. A litt mark on the brushed steel ring between insert and glass at 2 o'clock. Barely visible. 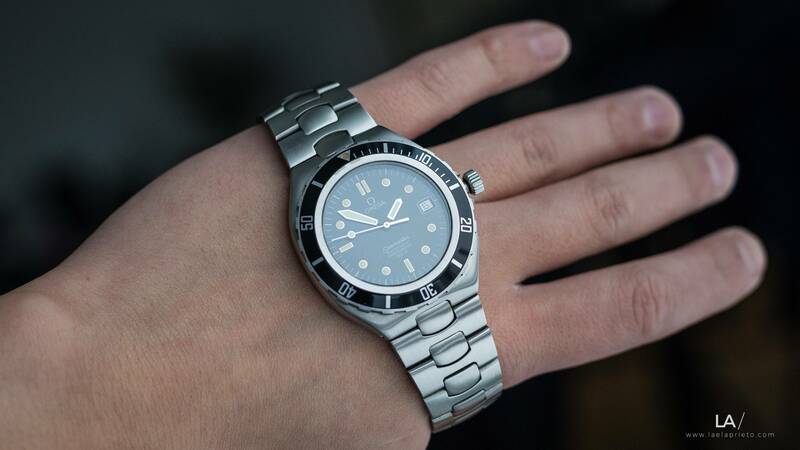 Extremely sharp bezel teeth and shiny insert, so is the crown. Whole watch is unpolished. The dial and hands are 100%. Caseback has noe signs of wear. Serial no. is sharp. Full Pre-Bond bracelet and clasp with diver's extension. Serial dates it to 1985, according to lookup tables. Fully functional, although not timed. Lots of references on request. Can supply more images/videos thru e-mail. I've also listed a 40's Longines Sei Tacche which can be sold together with this.